After evaluating the movements in currencies, Aetherworks and Battlefront have decided that re-aligning the pricing in the Australia and New Zealand region is the most appropriate course of action to deliver you the best value for money on Flames of War and associated Gale Force 9 products. Instead of aligning the local prices to the current USD RRP, they will now be aligned to the GBP recommended retail price. How much is the price dropping by? The price change will vary depending on the product's price band, but expect an average price shift of 20% across the board. Some example price changes are shown below. The new pricing will come into effect Saturday, September 1 2018. Will this apply to wholesale pricing as well? Yes, the reduction will carry through to the wholesale pricing and stores will receive the same proportional price savings. My retailer carries plenty of stock. How will this effect them? We plan to run a credit offer on the difference in price of your retailers existing stock, so that they can start immediately offering the new prices to you. This credit can be spent on existing and future Flames of War products. Retailers only need to provide Aetherworks with a spreadsheet of their stock holding by 31 August to benefit from the credit. Any backorders that your local retailer has with Aetherworks will be automatically updated to the new pricing. 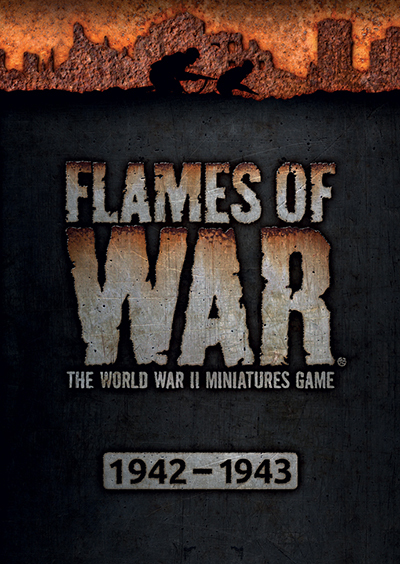 What are some of the price changes for Flames of War? What are some of the price changes for Team Yankee?